Again and again, energy companies – and the politicians, think tanks and corporate media in their pockets – hammer home the message that being green is going to mean being poor. The energy industry’s claim is that renewables are more expensive than fossil fuels; inaction on the climate is justified under the auspices of bringing down the bills, while inaction on fuel poverty is justified under the auspices of cooling down the planet. These lies, told in order to maintain business as usual, have recently come under increasing pressure from some in the environmental movement who are keen to stress that fuel poverty and climate change arise from a common cause and must be tackled together. However, much of the environmental discourse in the public domain falls trap to the industry’s spin. A recent post on the Guardian Environment blog by Duncan Clark offered a plea for caution within the environmental movement around calls for cheaper energy. 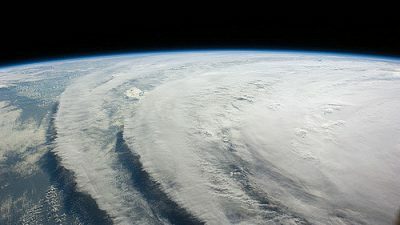 As one of the groups criticised in this blog – the Climate Justice Collective – (‘a new climate change direct action group’) we felt the need to respond. Our bills are not being driven up by the cost of renewables but, rather, by the rising cost of fossil fuels. According to a recent report by the government’s Committee on Climate change, the investment in low-carbon energy accounted for just 7 per cent of the rise in the cost of energy between 2004 and 2010 (pg 6). 64 per cent of this price hike was caused by the rise in the wholesale price of gas (pg 4). In his blog post, though, Clark attempts to use this same report to support his insistence that renewable energy is more expensive than polluting alternatives. According to Clark, the report tells us that renewable subsidies and carbon taxes will add more to bills than rising gas prices in the coming decade. But this is simply false: the report says that low-carbon measures will add £110 to bills by 2020, in comparison to £175 from rising gas prices (pg 5). The report in question does, as Clark points out, predict that low-carbon investment will account for 20 per cent of domestic electricity bills by 2020 (pg 17). But the report was written prior to the release of recent research from the LSE, which forecasts that the cost of wind power is set to dramatically fall in the next few years. Secondly, even if the report’s prediction is accurate, this does not support Clark’s conclusion that renewables are more expensive than fossil fuels. The rising price of fossil fuels has been the main driver of bill rises in the past decade and is set to continue escalating. Even if the cost of renewables was to make up a fifth of electricity bills by the end of the decade, this does not mean that bills would not have been higher should we have replaced this new low-carbon energy with more fossil fuels. Clark seems to ignore the introduction to the report, which explicitly states that the evidence ‘disproves’ the claim ‘that future huge investments in low-carbon capacity will drive very dramatic increases in energy bills by 2020’ (pg 6). In all, Clark’s blog fails to give us any reason to think that avoiding climate change must inevitably lead to higher energy bills. But the problems don’t end there. The view pressed throughout seems to be that people are in a position that would allow them to choose to pay more for their energy, should they be persuaded of the benefits of renewables. Our mission, says Clark, has to be to ‘make people care sufficiently about climate change that they’re prepared to pay more for energy ‘. Is the suggestion here really that the millionsof people that have to choose between heating and eating in the winter should, in fact, be choosing between heating, eating and investing in clean energy? When rocketing energy costs threaten your life and livelihood how could anything – even the threat of global climate catastrophe – persuade you that you should be paying even more for your energy? The problem is that the rule of the market makes energy access dependent upon ability to pay. This means that the people who are in a position to pay more for their energy – wealthy individuals and powerful corporations – have their excessive and intensely polluting consumption habits subsidised by the poor who are left to freeze. No-one is saying that the solution here is cheaper bills for all. 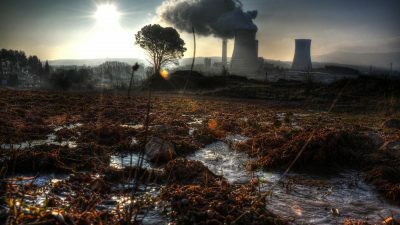 The point is that we need to fundamentally change the way that our energy system – and the economy and society at large – are organised so that energy decisions are made not on the basis of profit but, rather, on the basis of securing people’s rights to heating, eating and other essentials. What many environmentalists are starting to realise, particularly in light of the latest global failure at Rio+20, is that addressing climate change will require systemic overhaul in this same direction. 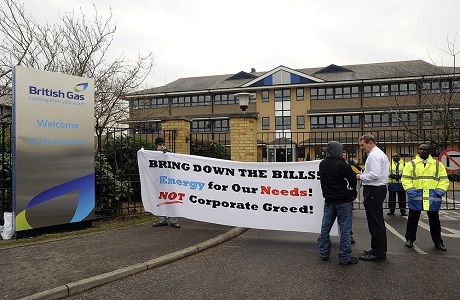 It is now the energy companies, not politicians, that call the shots, as is evidenced by recent exposés of the Big Six exercising influence over the government through lending staff, informal consultations and buying access to secret lobbying meetings. The energy companies’ business-models are built on fossil fuel extraction as this is most profitable for them. So, as long as the energy companies retain their monopoly power and influence, politicians will keep on the fossil fuel bandwagon. And, as ‘conventional’ modes of extraction become more difficult, fossil fuels will keep on getting more polluting and more expensive. The profit-driven fossil fuel economy is the root cause of both climate change and fuel poverty. As long as our energy is a commodity designed, first and foremost, to generate private profit, our needs for warm homes and a safe environment will be sidelined. But what if communities reclaimed control, begun to generate their own renewable energy and distributed it according to need, not ability to pay? In fact, this is already happening across the country in the form of energy co-ops springing up everywhere from Brixton to Brighton, Bristol to Manchester. By building our own alternatives like these in the context of a growing broader movement for the radical reorganisation of society along democratic, fair and sustainable lines, we can make a start on tackling both poverty and climate change together. Building a movement with the numbers and relevance necessary to take on this task, however, means rejecting an environmentalism that refuses to call for cheaper energy for those being deprived of their basic needs by rising bills. As well as swallowing the lies of the fossil fuel industry, this type of environmentalism can only alienate the very people we need on board, ensuring that the twin crises of rising bills and rising sea levels will just keep getting ever-deeper. 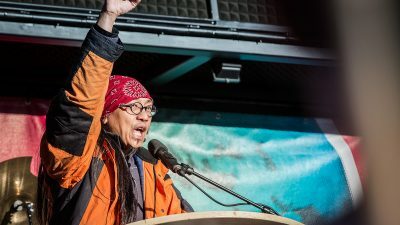 Instead, we need a climate justice approach which acknowledges the shared systemic causes of environmental destruction and poverty and sees the pursuit of ecological goals and social justice as inseparable.